The milking process should be recognised as the most important operation on the dairy farm. From a labour perspective it is the most significant task of the day, accounting for approximately 33% of total labour demand, irrespective of herd size. While all farmers aspire to an efficient milking process, the outcome will be a function of people, cows and capital investment, and these must interact correctly to give optimum performance. 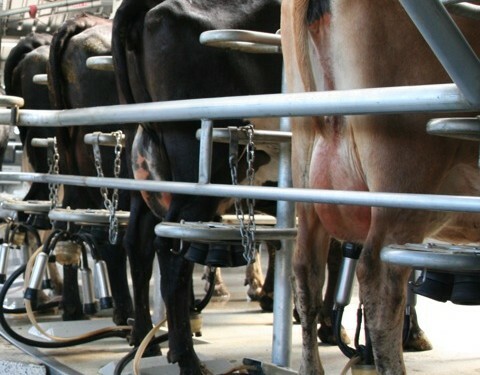 Milking parlours are run most efficiently when the capacity of the milking equipment matches the capacity of the labour person(s) milking the cows. The milking operator should not be waiting for the milking equipment (e.g. cluster) to become available and the equipment should be fully utilised, not idle and waiting for the operator to catch up. The work routine of the person. The number of milking units and presence of automatic cluster removers (ACRs) (to prevent over-milking). The stage of lactation (which influences individual cow milking time). A further important factor is the length of time the operator may wish to spend in the milking parlour or how long the operator can remain efficient at the milking task, which is generally considered to be not longer than two hours. 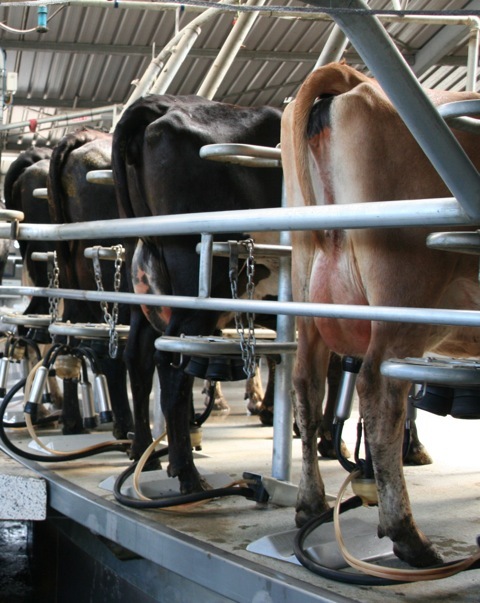 In order to add clarity to this issue, a research study at Moorepark investigated the effect of milking cluster number, pre-milking routine and stage of lactation on milking row time, over-milking and operator idle time, in a side-by-side parlour. As cluster number increased, row time and duration of over-milking were increased and idle time was reduced. The type of routine practiced largely dictates the number of clusters one operator can handle. 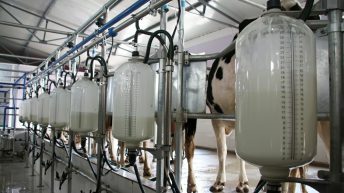 In a one-person milking process, when a minimal pre-milking routine is applied, 22 milking clusters may be operated without experiencing over-milking of longer than two minutes in the absence of ACRs. This results in a milking time of two hours and 1.6 hours in early and late lactation, respectively, for a herd of 220 cows (e.g. 10 rows, 12 minutes milking row time). The presence of ACRs would allow a cluster number of up to 26 to be managed due to the ACRs effect in eliminating over-milking in late lactation, thus enabling a 260 cow herd to be milked in two hours and 1.8 hours in early and late lactation, respectively. Alternatively, when a full pre-milking routine is applied (strip, dip and wipe), milking cluster numbers of 14 (early lactation) or less (late lactation) may be operated without experiencing over-milking of longer than approximately two minutes in the absence of ACRs. However, ACRs would prevent over-milking with increased milking units. 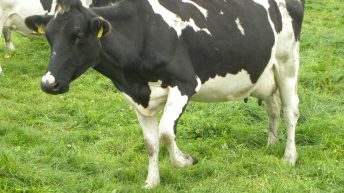 Additional units (greater than 14) would allow greater cow numbers to be milked within a specified time of, for example around two hours, but row time would increase, (e.g. to 16 and 19 minutes with 22 and 26 units, respectively). Thus, informed decisions and choices need to be made with regard to desired milking performance, since actual performance will be influenced by a number of inter-dependent variables, such as herd size, preferred pre-milking routine, preferred milking time and available investment capital. By Dr. Bernadette O’Brien, Animal and Grassland Research and Innovation Centre, Teagasc, Moorepark, Fermoy,Co.Cork. This article was first produced in the AHI Cellcheck Newsletter.